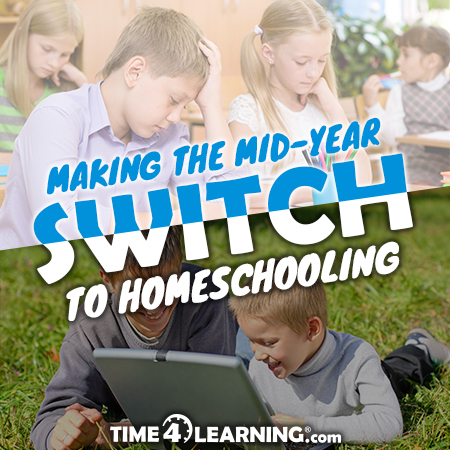 Wow, you decided to make the switch to homeschooling this year — congratulations! By now, you probably did research on all the necessary actions that are required to withdraw your student from school and investigated the specific state laws that you need to follow. 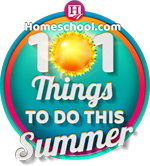 Now it’s time to take some other actions, such as exploring all your curriculum options, setting up your homeschool space, and creating a plan! This is important because you and your children will be going through a dramatic change. Homeschooling can be much different than traditional schooling. You’ll have more flexibility, more subjects to choose from, and you’ll be in charge — so you can be as creative or traditional as you want. Before you hurry up and pick out a new curriculum, you should carefully think about a few things first. After all, purchasing a new curriculum isn’t always cheap and you certainly don’t want to blow your budget. Here are some helpful tips. Now Eileen plays some soft music as her daughter does her work. She does it because homeschooling gives her that freedom and flexibility. Eileen may never have discovered this little tidbit if she didn’t sit down and get to know her daughter better. What passions or interests does your child want to pursue? As you’re getting to know your child better, ask them about the things that interest them. Perhaps they like animals, sewing, fishing, playing with legos, or drawing? You can pursue their wildest interests now that you’re homeschooling. 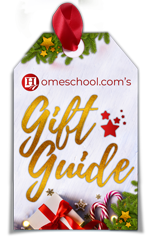 While traditional schooling follows a strict schedule and curriculum, you and your fellow homeschoolers can branch out. You really have no limits on your new educational experience. Incorporating unconventional subjects into your homeschooling schedule will now become the new normal! Many children have a mix of learning styles and it will become important for you to discover your children’s styles before you choose a curriculum. But don’t rush things. Take your time and talk with your child, watch them as they do everyday tasks, whether they be chores, helping you in the kitchen or yard, or at play. You can learn so much as you observe a child doing new tasks or learning a new game. Unschooling means different things to different people, but it’s basically a philosophy that encourages children to pick out the activities they want to do. They create the structure and schedule. The children don’t follow a strict schedule that you create. They think for themselves, and therefore learn things on their own. Unschooling works particularly well when you first start homeschooling because it reveals how your child learns. For example, maybe your child plays video games for hours or surfs the internet. This tells you that an online curriculum program would probably work best for him or her. It combines game-like lessons that your child interacts with — just like when they’re playing video games. Discovering what curriculum choices work best takes time. So, again, there’s no rush. One note, there is no one “perfect” curriculum. Most homeschoolers combine different learning tools. The outcome is a customized curriculum package that fits their child’s needs. And if you aren’t positive about certain curriculum tools, go online or contact their customer service department and find out if they offer a free trial or money back guarantee. This way, your child will have a test run with the program before you fully purchase it. Karen mentioned one other thing, she says that once her children are done with their lessons, she makes certain that they put everything back where it belongs. Otherwise, things get lost or mixed up. Some other tips she mentioned include, having good natural light, no distractions such as toys, (there is a time for play but not in the classroom), a CD player, computers, designated workspaces for each child, and a good old-fashioned globe where she shows her children the different countries on earth. 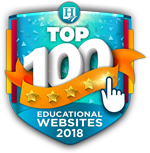 Most homeschoolers love sharing their classroom ideas and it’s amazing what you can learn from veteran homeschoolers. They adapt to any limitations in classroom size and space. 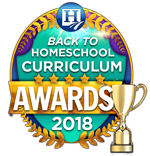 Zig Ziglar, an author, salesman, and motivational speaker once said, “You were born to win, but to be a winner, you must plan to win, prepare to win, and expect to win.” It’s true, you are a winner and were meant for this new homeschool adventure, but now you must make a plan. But let’s take a step back for a moment — this plan will be fluid. You cannot expect all your best-laid plans to become successful, you must adjust as you learn more about homeschooling, yourself as a teacher, and your child. What exactly do you want to accomplish? You obviously want your child to have an education, but maybe there are more specific things that you and your child desire. For example, maybe you hope that your child improves their reading skills or learn the times table. It’s important that you’re specific — if your goals are arbitrary, you probably won’t attain them because they’re not clear and easily understood. As you progress through the school year, you’ll want to keep track of your goals. It helps you stay motivated and focused on the prize. And if you realize that you can’t meet your goals as you’re tracking them, then you can reevaluate them and adjust them. As we noted earlier, this is a fluid process. Don’t set goals that are doomed for failure. It’s like when people say they want to lose 50 pounds and when they lose only 10 pounds they give up in frustration. Instead, lose 5 pounds at a time and congratulate yourself for achieving the goal, and then move on to the next 5 pounds. If a goal is not relevant then why bother achieving it? The goal should be beneficial to you and your child and be in align with your other goals and your homeschooling plan. If it’s not, then it probably won’t accomplish anything meaningful. Don’t just make up a goal and hope you achieve it. Set a deadline for achieving a specific goal. Deadlines give you a sense of urgency. But be flexible and realistic. If you pass the deadline adjust it. After all, you’re just starting the homeschool process and you don’t know your limitations yet. For additional help with goal setting, use this goal planning worksheet. Now that you’ve made the homeschooling commitment, don’t forget to enjoy the adventure. It won’t always be easy, but you’re a winner and winners persevere through the trials and tribulations. Congratulations on choosing the homeschool option!